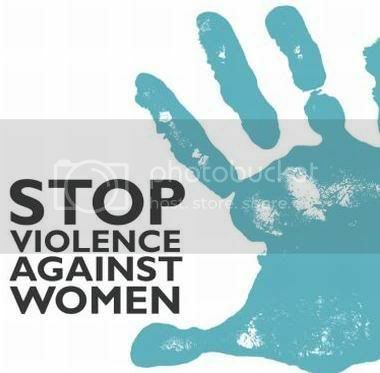 Anon-govermental organisation, Hope For Life Initiative, has embarked on a campaign to end violence against women and the girl-child. The NGO, in collaboration with the United Nations Information Centre (UNIC) and the Lagos State Ministry of Education, have within the last four weeks, led the initiative to propagate the “HeForShe” campaign in three schools. The schools include Oduduwa Junior High School, Gbagada, Anyangburen Senior Secondary School in Ikorodu and Isawo Junior High school, located at Agric area of Ikorodu. Director, Hope For Life Initiative, Kendi Aig-Imoru called for an end to violence against women and the girl-child, urging boys to assist girls to jointly sustain the ideals of the HeForShe campaign. She reiterated the importance of the project and the opportunity of spreading the message outside the school particularly to the community. An Education officer, from District 11, Maryland, Mrs. Bunmi Olanrewaju, reiterated the importance of the project and the opportunity of spreading the message outside the school particularly to the community. The initiative began at the Oduduwa Junior High School, Gbagada in Bariga on November 26, last year where representatives from Hope for life initiative led by Aig-Imoru introduced the details of the campaign. Aig-Imoru spoke on the importance of not only taking the message to at least 10 persons outside the school, but to their brothers, sisters and families, stressing that it was important that the change to end violence against women and the girl child must began at home with every one present. She emphasised the importance on saying “No to Violence” and the ideals of the campaign. The students then presented a drama piece which was followed by words of wisdom by the students on the need to stay away from gender violence. The event also witnessed discussion session with the students and question and answer session. The campaign also moved to Ayangburen Senior Secondary School, Ikorodu, on December 4, last year. At the event, a representative of the Ministry of Education was on hand to assure government’s support for the campaign at both schools. Fron Ayangburen Secondary School, the team proceeded to Isawo Junior High school where everyone, including participants, had an interesting walk. At the end of the exercise, the students in all the schools visited promised to uphold the ideals of the HeForShe campaign. The organisers of the initiative have, however, expressed their appreciation for the support by UNIC, which was represented in all the schools visited by Envera Selimovic and Mrs. Folashade Ogunnaike of the Lagos State Ministry of Education.